PHARMACY DISTRIBUTORS Hilton Pharma offers to distributors a top quality dietary supplements known for high effectiveness and liability. Natural diet products clinical tested to meet consumer’s demand, who is now more and more involved in prevention and care of his mental and physical wellness. Microcrystalline cellulose, Dicalcium phosphate, Pumpkin (Cucurbita pepo) seeds dry extract titrated at 2% Phenolic derivatives such as Enterodiol, Soy (Glycine Soja) seeds dry extract titrated at 40% isoflavones of which 36% Genistein, Vitamin C, Ginseng (Panax ginseng) roots dry extract titrated at 12% Ginsenoside, Vitamin E acetate, Cranberry - Lingonberry (Vaccinium vitis-idaea) juice, Phyllantus (Phyllantus niruri) flowers and leaves dry extract titrated at 3% tannins, Anti-caking agents: Silicon Dioxide, Magnesium vegetable stearate, Mono- and di-glycerides of fatty acids. Coating agents: Hydroxypropyl methylcellulose, microcrystalline cellulose, titanium dioxide, red iron oxide. SEVURIN DIET FOOD SUPPLEMENT TO HELP WOMEN Sevurin is a complete natural food supplement, produced by Hilton Pharma in our manufacturing facilities in Italy, scientifically formulated that uses a combination of natural active ingredients that synergistically help to combat female incontinence. WOMEN URINARY INCONTINENCE is defined as the involuntary release of urine at inappropriate and socially inconvenient places and times. This issue is especially common in women and is due to a loss in the bladder's muscle tone. PREGNANCY OR MENOPAUSE Many women have certainly suffered moments of urinary incontinence during their pregnancy, after childbirth, following a very intense physical effort, as a consequence of surgery or during menopause. URINARY INCONTINENCE can significantly affect the quality of life by changing the subject’s self esteem and limiting or disrupting their social and professional life. NATURAL FOOD SUPPLEMENT Sevurin is a complete food supplement manufactured in Italy, scientifically formulated, that uses a combination of natural active ingredients that synergistically help to combat female incontinence. 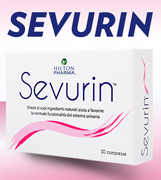 ITALIAN SCIENTIFIC RESEARCHES Sevurin was born according to the professional scientific research done in laboratories of Hilton Pharma (Italy). Sevurin diet food supplement is produced 100% in Italy to guarantee high end quality level and safe health care of women during urinary incontinence. EXCLUSIVE BLEND FOR PERFECT TREATMENT Sevurin is an exclusive blend (Go LessTM - USA) made with EFLA®940 (Pumpkin seed powder extract - Cucurbita pepo L. var. styriaca, seeds) and SoyLife® 40% Soy germ isoflavones (Glycine max L.), this combination has been found to be effective in the treatment of urinary disorders and useful in preventing the causes of hyperactive bladder, as research has shown pre-clinical in vitro and clinical studies. URINARY DISORDER SOLUTION The seeds of Cucurbita pepo, traditionally used as a natural remedy for all issues related to the urinary tract, have been found to be active in urinary disorders due to a hyperactive bladder. PHYTOESTROGENS (oestrogens of plant origin) contained in soy (isoflavones) can be effective, beneficial and safe substitutes for natural oestrogen in deficiency situations, such as menopause, where they can be useful to counteract its most bothersome symptoms (hot flashes and sweats) and to prevent the onset of osteoporosis. The combination of EFLA®940 and soy germ isoflavones has been found to be an effective treatment of urinary disorders associated with hormonal imbalances. KERATONINA Sleep & Beauty with Melatonin pure to 99% associated with tryptophan which is the precursor of melatonin, contributes to the reduction of the time required to FALL ASLEEP promotes a natural sleep, quiet and restful. LENIART UC-II a new active substance (UC-II®) with a specific mechanism of action for the welfare of cartilage and joints. Leniart, provides effective support to the joints and cartilage, can help you regain range of motion and joint flexibility. 1. ABOUT HILTON PHARMA description of main ingredients and technical specifications of our food diet supplement for women. 2. SEVURIN WOMEN INCONTINENCE - TECHNICAL FEATURES description of main features of Sevurin, the dietary food customized for urinary incontinence in women. 3. 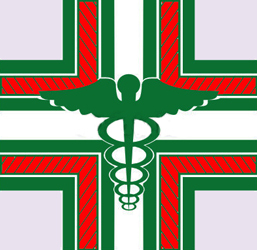 SUPPLEMENTS FOR PHARMACY DISTRIBUTOR direct manufacturing pricing and best offers for pharmacy wholesale distribution. 4. WHAT IS FEMALE URINARY INCONTINENCE? description of symptons, cause and effects of female urinary disturbs. 5. OVERACTIVE BLADDER - WOMEN HEALTH CARE SUPPLEMENTS Hilton Pharma produces a diet food to contrast the overactive bladder, supporting women health. 8. OUR OFFER FOR WHOLESALE DISTRIBUTORS Hilton Pharma. offers high quality diet food supplements and manufacturer pricing for our partners and distributors. Looking for an Italian manufacturing supplier? in this website you should find, DIRECTLY, the best Italian manufacturing, vendor and supplier from Italy, also the best DIRECT customer service from producer. Italian Business Guide is a premier list of Italian manufacturing and B2B supplier companies, the made in Italy to support your international business.